$150+MM in sales and 170+ transactions. Consistent Top 10 producer by transaction volume from 2011-2014 at Douglas Elliman. Multiple revenue based awards: Chairman's Circle Gold, President's Circle, from 2010-2014. Real Estate Weekly, Brownstoner, Curbed, The Sun, New York Times, On the Market - NYT, and other real estate publications. Townhouse and multi-unit investment sales and marketing. Energy efficient and Passive House development and retrofit. Certified Passive House Tradesperson. Coop and Condo consulting, sales and marketing. B.A. in Economics and a double major in Applied Mathematics & Electronic Music from Middlebury College and an MBA from Babson College. Rezwan is a Brooklyn-based Social Entrepreneur as well as a Real Estate Broker. Rezwan has 9+ years real estate brokerage experience in NYC; brokered 170+ transactions, over $150MM in sales in Brooklyn. Consistent Top 10 producer at Douglas Elliman in NYC; ranked #10 in the firm in 2014 by transaction volume. Rezwan is an active investor and strong advocate for energy efficient development. 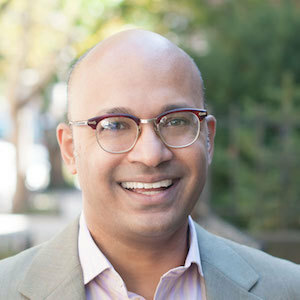 Rezwan launched a small member owned fund called SBN Fund to invest in Passive House developments and retrofit projects, and is the Development Manager and investor for 6-unit Passive House Condo development project in Central Harlem. Rezwan is a Certified Passive House Tradesperson by International Passive House Association (iPHA) and a member of several green development organizations including NY Passive House (NYPH). Prior to entering into the real estate industry, he has over 15 years of experience in entrepreneurship, strategy consulting and product management, primarily in the clean technology transfer and high-tech sector. Rezwan was the founder and CEO of Ferrate Solutions, Inc., a water treatment technology start-up developing a novel water treatment chemical. He was a Senior Strategist at Razorfish where he worked with start-ups and advised clients on new product development and sales and marketing strategy development. He was also a consultant at Mercer Management, where he developed growth strategies for Fortune 500 clients across a diverse set of industries. As a product manager, he has managed a $20 million portfolio of high-technology products for a subsidiary of Wolters Kluwer. Rezwan has an MBA from F.W. Olin Graduate School of Business at Babson College. He has B.A. in Economics and a double concentration in Applied Mathematics & Electronic Music from Middlebury College.